Citing a bug report filed on Tuesday, Motherboard says that an upcoming Chromium update could make Chrome's higher end ad blockers less effective. Apparently, the Chromium team is trying to curb the widespread abuses in Chrome's extension market by implementing some stricter restrictions on what they can or can't do. Among other things, the update restricts any extension's ability to freely block network requests sent by ads. The Chromium team developed an API to try and keep some of those features, but apparently, they modeled it after the architecture of AdBlocker Plus, hence it will severely hamper the implementation of more sophisticated extensions like uBlock Origin and EasyList. 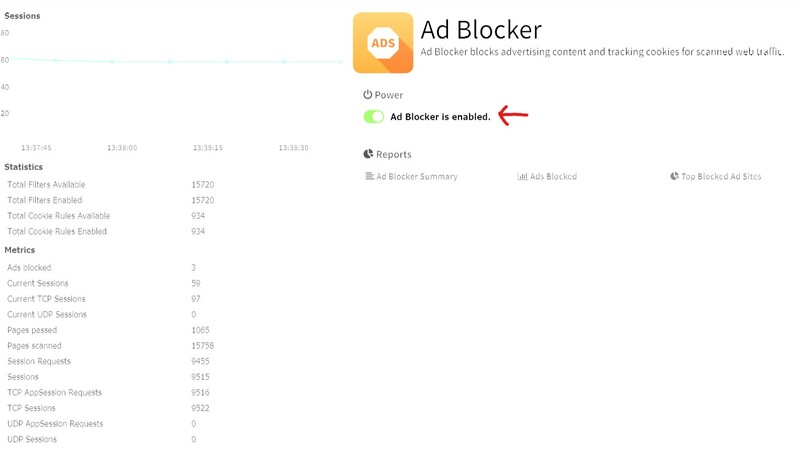 Ad blocker extensions like uBlock Origin work by reading network requests sent from ads on a web page to a user’s computer and filtering them according to the user’s preferences through a Chrome application program interface (API) called "webRequest." In the new version of Chrome, however, extensions will still be able to see the network requests sent to a user’s computer via webRequest, but they will no longer be able to block them. Instead, ad blockers will have to rely on an API called "declarativeNetRequest" which requires them to specify which types of network requests from ads they should block in advance, rather than allowing the dynamic blocking capabilities found in uBlock. The difference is like if you were charged with protecting a house, but could only pick a few of doors to protect in advance and hope your adversary chose those doors, rather than being able to move through the house and choose which doors to protect based on the ones an adversary was actually attacking. 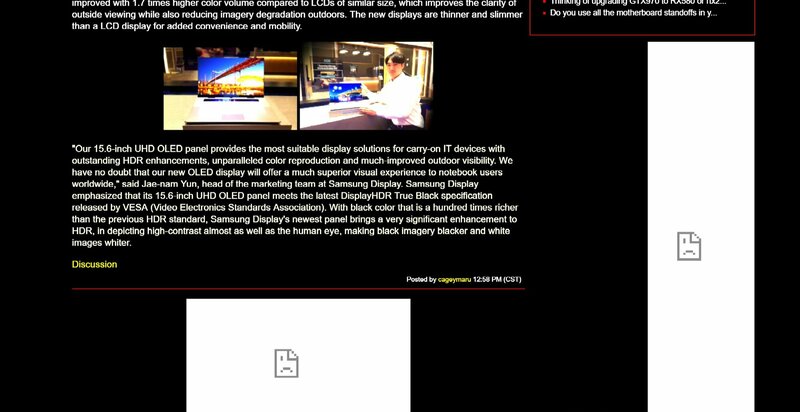 *Shrug* Personally, I just hate when the ads load and you get a dancing webpage until everything is loaded. Vercinaigh and The Mad Atheist like this. You will get ads and you will like them. auntjemima, Ordeith, clockdogg and 4 others like this. This is utter CRAP. I install both ublock origin and ghostery on nearly every machine I touch. I have found out the hard way that infections, malware and SCAMS are nearly eliminated when you block connections to about 95% of the ads and trackers on the internet. Supposedly "legit" ads servers and trackers I might add. Making Ublock Origin or Ghostery non-effective will make me militant about vocally opposing any of my customer's continued use of Chrome. I will actively fight for using something else. The ad server issue on the internet has reached a point of absurdity. It doesn't matter what the revenue streams are there is so much malicious code out there getting pushed that you can't trust ANY of it. And Google isn't doing jack diddly bupkis to create an environment of trust for even its own ad servers. Almost without fail, when I get a user in here that doesn't have the blockers on I'll be locked up on some web page to "call this number now your computer is infected!" Ranulfo, clockdogg, raz-0 and 15 others like this. Lakados, jfreund and Armenius like this. I'm assuming Firefox will be the go to browser after this if you want Ad-blocker technology. Ordeith, commissioneranthony, exlink and 10 others like this. Just block all that garbage yourself. It is easy - if you can setup a raspberry pi, you can do it. IndyColtsFan, DocNo, KingGlade and 9 others like this. How to convince me to completely uninstall chrome in one easy step. Ordeith, the901, trandoanhung1991 and 21 others like this. That's what happened to my Aunt the other day when she clicked an ad and got one of those webpages that says you need to update your antivirus or update windows. I'm beyond adblockers honestly, because I've taken extra precautions like using my router as the first level of ad blocking. I use OpenWRT on my TP-Link TL-WR1043N/ND v2 and you can install Adblock as a service. This won't work for YouTube as they supply ads through the same connection that supplies the videos but it will block everything else. I have Adaway on my rooted Asus Zenphone 2 cause I don't need that crap on my phone, plus I installed YouTube Vanced Edition because again you can't block YouTube ads traditionally. And yes, when I browse the web I use FireFox. Chrome/Chromium is only a problem if you refuse to use the many other web browsers that exist. Very easy answer, Pi Hole. DukenukemX, Armenius and Darunion like this. Wonder what this new 'feature' will due to script blockers? Oh, no, a POS browser just became a tad worse! I'm shocked, truly. Ordeith, DocNo, GSDragoon and 1 other person like this. Just outa curiosity and you seem like the guy to ask, why not use Ublock, Ghostery, and Adblock Plus altogether? Is it redundant? Compatible? Only asking because that's what I do on my machine and I figure hell since they're free why not have three at once to cover all my cues and tees. Meh, I already moved to PFBlockerNG at my endpoint. Browser can try and load all it wants, but the DNS query will be blocked. Master_shake_, Armenius and TonyZ like this. Why not just use Adguard ? travisty and zkostik like this. If you care about privacy at all it is better to use some other browser anyway. lol it doesn't matter what browser you use your privacy has already been pwned. There is so many ways it can be. This will push me to Firefox. Ordeith, Disco_Stu_04, MatthewK and 4 others like this. I used to use Adblock Plus. ---In my experience--- Adblock Plus doesn't block enough anymore and lets too much through. Ublock Origin and Adblock Plus are both adblockers so both at once are redundant. Ublock Origin for ads and some trackers... Ghostery for trackers and some ads. They overlap just right and block almost everything without breaking everything. There may be other good blockers out there but I've used tons of them and this combo has been good to me. MaZa, jfreund and Armenius like this. Use Untangle or pfSense and block ad's at the router. r00k and DukenukemX like this. Yes but blocking by a network level can effect your work or there may be people in your household who want to take control of it instead with a addon or program. So if you were in my shoes, would you uninstall Adblock then? Not the best solution because that can cause issues if you don't live alone. For Untangle. You toggle one switch. No knowledge needed. I hear you, but I have my wife and son here in my house and they have never once said something doesn't work. I would. AdBlock has been pay-to-play for years, now. Companies can buy their way onto ABP's whitelist, kind of defeating the whole purpose of an adblocker for end users in the first place. Ordeith, anthrex, dvsman and 2 others like this. readeh and DukenukemX like this. How much is Untangle anyway ? I am using the free trial right now. That looks horrible. I want a solution that will get rid of ad placeholders too. exlink and Armenius like this. I do their home license. HomePro is a NG Firewall subscription for residential, non-commercial use. Starting at $50.00 a year! OMG please tell me your joking? That is enough for Plex. No such animal that I am aware of and I am in fact a CCNA network engineer. The free one works too but is limited for 50 devices. All this does is remove that limit for $50 a year. I have 120 devices. Do you mean with a router or with everything ? As in not even possible with applications to block ads and placeholders. Don't you have to pay for the ad blocker add on though still ? Then those people use tablets and that's a whole other ball game. If they still use PC then FireFox+Ublock will do just fine. Not the placeholders are what I meant. That's part of the CSS frame so I don't think those can be removed?